YEREVAN, AUGUST 7, ARMENPRESS. 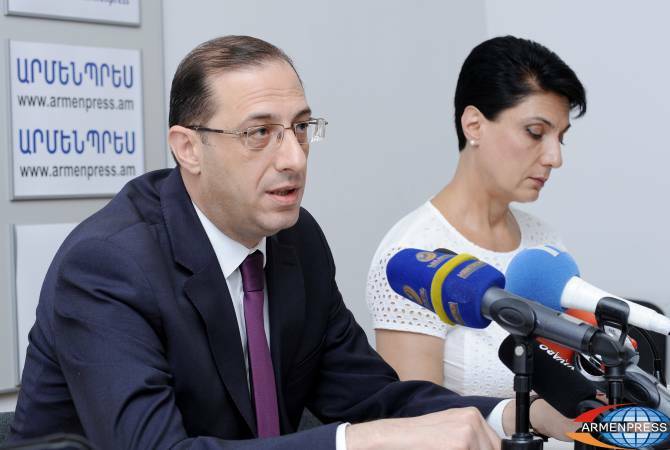 The number of medals won by athletes representing Armenia is increasing every year, deputy minister of sports and youth affairs Gabriel Ghazaryan told a press conference in Armenpress. “We are implementing great programs in terms of mass sports. Citizens of various age groups are involved in these programs. The conscription age is also one of the most important links, where the qualitative increase of actions is obvious”, the deputy minister said. He said this year is not over yet, but it is already successful for the Armenian sport. “During 2018 as of now Armenia has captured 86 medals – 30 gold, 24 silver and 32 bronze, at Europe and world championships. Those are only the medals won in youth championships”, he added.